Wedgwood teacher, Kelly Clark, has been given the 2014 Civic Educator of the Year Award. From Rep Gerry Pollet's office: The award is sponsored by the Washington State Legislature to honor outstanding instructors in civics education. • Lori Dunn, program manager for Physical Education and Health Literacy, will be presented a Fellow for Professional Excellence at a convention sponsored by the American Alliance for Health, Physical Education, Recreation and Dance (AAHPERD). • Gayle See, coordinator for Physical Education for Progress, will be acknowledged at the same convention for her outstanding contributions with an Honor Award, Non-college/University. Article from Crosscut by City Councilwomen Jean Godden and Sally Bagshaw about the long-promised playground at Seattle Center. They are looking for input on its design. The project team will begin its robust community engagement process, inviting children and adults alike to join team members in a Kick-Off Community Design Presentation and Workshop from 1 p.m. to 4 p.m. on Saturday, March 1, in the Next 50 Pavilion at the Seattle Center. Additional community workshops will be scheduled around the city throughout the spring of 2014. Our goal is to create a family play area that is unlike any other, a place where children will beg their parents and grandparents to take them. We can only imagine the whimsical additions Seattle’s children will suggest. Once final plans are completed, there will be a community ground-breaking. Construction of the playground will get underway later in 2014, with a completion date expected sometime early in 2015. It took a while, Seattle-style, but the prospects are as exciting as the possibilities. Finding Solutions: Where is the Leadership? This issue of homes for Cascade and NW Center Kids is but one of the first capital dominoes to fall. The new 2014-2015 budget reflects that the growth isn't quite what the district expected. At this point, that doesn't matter. The district simply does not have the capacity for the students who continue to pour in. There will be more dominoes and the number and speed at which they fall will only get faster. There are huge mistakes being made in our capital building and thinking. Someone needs to have the political courage to do something but what is it going to take? I have heard from a number of different people on the front lines of the issue of housing both Cascade Parent Partnership and NW Center Kids. There has been an astonishing amount of "haven't heard from them", "didn't know" and "they offered no options." Somewhere in there is the truth. It's like in Cool Hand Luke - "What we've got here is a failure to communicate." And, there are smart people involved so I suspect that rather than ineptness, there is some pridefulness going on. This is the measure for background checks for guns. So I was pretty surprised yesterday that both Banda and Herndon stayed so long at the Cascade meeting give there was the Board Work Session on the Budget at 4 p.m. (they left around 3:45 p.m.) Naturally, I did not attend but if anyone else did weigh in, please. I am so excited to be attending this new conference. It will be great to meet other education writers and bloggers from around the country. The keynote speakers will be Diane Ravich and the head of the Chicago teachers union, Karen Lewis. The conference will begin at 8:30 am Austin time, which is 9:30 am Eastern. We hope to livestream from the start, but some portions of the conference may be delayed, because of their location. I attended a meeting today at the Cascade Parent Partnership school at Wilson-Pacific. The meeting was called by Superintendent Banda who was in attendance as was Facilities chief Flip Herdon and NE Ex. Director Kim Whitworth. The school had just finished a spelling bee and there were plenty of parents and students in attendance. The Stranger has an article (which I am in) about Common Core. I actually didn't know that the main thrust of it was about some Seattle Schools' teachers who plan to boycott the Common Core assessments. It seems to me like the same wolf in different sheep's clothing. How could we not boycott that?" says one longtime high-school teacher. "We objected to the MAP test because we didn't know to what standards it was addressed," she explains, and because it took time away from classrooms and computer labs. Moreover, the teachers couldn't look at the tests before having their students take it. 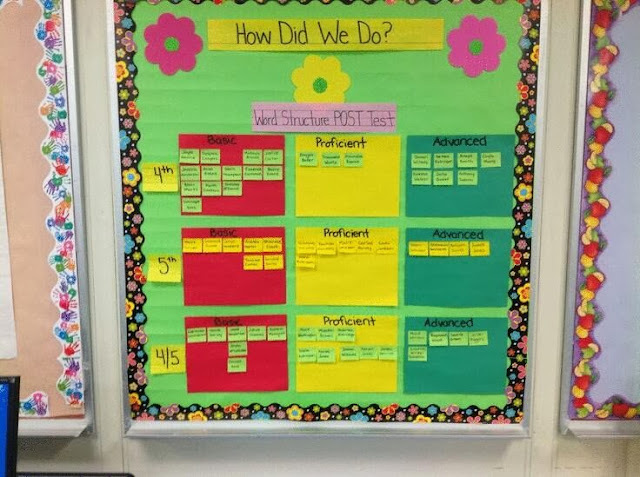 "Smarter Balanced has all those disadvantages, but in addition, it's teaching to standards that have never been vetted in a classroom or by teachers," she says. This could be the first-ever teacher boycott of Obama's new standards and testing regimen, with the potential to set a precedent for the rest of the country. Critics say corporate education reform titans like the Gates Foundation developed Common Core without input from teachers. The district's testing administrators told me they expect students who take the Smarter Balanced Assessments to experience a drop compared to previous tests by 20 to 25 percent (which shouldn't be cause for alarm, they say, since the bar has simply been raised). No cause for alarm? Tell that to parents - is my kid doing okay or not? The district maintains that it's communicating strongly with parents while teachers receive training to teach the new standards, which it says will better prepare students to compete on the world stage. Strongly communicated? I'd have to see the evidence. Unfortunately the article is more about a possible boycott than the real issues of Common Core. But I think raising awareness what's coming is always a good idea. As a brief update, the school board approved transportation standards for next year that will move us to a 3-tier system in order to save approximately $3 million. It was impossible to get the school board to consider putting secondary schools in the later tiers and elementaries in the earlier tiers. The good news is that Sharon Peaslee, board president has introduced a resolution to make analysis and community engagement on start times a high priority and then to decide, based on feedback whether to flip elementary and secondary start times for 2015. The resolution will be introduced on 3/5 and voted on 3/19. We need to win this vote in March otherwise the district will halt any further progress on the issue. Thank you for all of your recent emails. They made a major impact and helped bring Peaslee's resolution to the table. Please write to board directors and urge them to prioritize analyis and community engagement on start times. Let them know that student learning, health, and safety will improve with later secondary starts. If you have elementary students let them know that earlier starts would benefit younger students who naturally rise earlier. Write "prioritize start times" in the subject line, as last time they got so many emails they couldn't read them all! More opt-outs of testing, this time at a school in Chicago where 300 parents have opted their children out. In an article from Catalyst Chicago, one superintendent sent a letter to parents telling them why they shouldn't opt their children out. One interesting note - they use the MAP test for screening AL but they have a much lower threshold than SPS. The letter also for the first time makes clear that the NWEA/MAP will be used to determine who can sit for the selective enrollment test, but it sets the bar low. The current policy limits the selective test to those students who ranked in the 50th percentile or above on the nationally normed section of the ISAT. Now, according to the letter, students scoring above the 24th percentile on the NWEA/MAP will be eligible to test for selective enrollment high schools. Sharkey said the new standard is low because district officials are concerned about a lot of students doing poorly. “These new Common Core assessments are brutal,” he said. That might be the case in the future for SPS and its use of MAP as an AL screening tool. Another good article from The Nation on opting out, Turn On, Tune In, Opt Out. The five-part series premieres tonight; chronicles levy programs to increase student success in school. Arne Duncan spoke at a public education summit yesterday put on by Common Sense Media. The event came in the midst of a recent flurry of student data privacy-related activity. In addition to the non-binding federal guidelines, expected to be made public Tuesday afternoon, a leading technology trade group released recommendations on the issue; major state legislation on the issue was proposed in California; and U.S. Senator Edward Markey, a Democrat from Massachusetts who also spoke at Monday's school privacy summit, announced that he will soon introduce new federal legislation. One key principle around which there is an emerging cross-sector consensus is that educational data about students should be used solely for educational purposes—and not for targeted advertising. Industry representatives and some education officials in attendance at Monday's event supported the general notion, but said much confusion remains about what "for educational use only" means in practice and expressed concerns about how such details will be enacted in policies and contracts. Vu Le, who is the Executive Director of the Vietnamese Friendship Association, is another one. He has the blog, Non-Profit with Balls. His latest thread - Which comes first, the Equity Egg or the Accountability Chicken - is worthy reading. Yeah, said the room, clapping, that’s the American Way! “I agree,” I said, “parents should be involved in their kids’ education.” But, I pointed out, many of them don’t have the language skills, or they are poor and work several jobs. And then because they are poor, they tend to go to struggling schools, and those schools don’t have translation services, or any staff who can spend time with the parents, so even if a parent really wants to be engaged, they come to school and there is no one to help them. So if we want parents to be accountable, provide them the resources they need first. You'll see this coming - for every kind of parent - with Common Core homework. That, my friends, will be fun. (I did talk to OPSI and they say there will be help for parents. I have seen some of this and find it....not-so-helpful. You can, of course, say, "Okay, Timmy, we're supposed to read this and find this" BUT if you don't know know the Common Core way, how can you really help. Math will be even more fun. That’s why our work is important. We above most people understand that equity comes first. Sometimes, though, we also forget, and we also fall into the accountability trap. During this panel discussion featuring experts on adolescent psychology, drug addiction and law enforcement, parents will be armed with the knowledge and tools they need to help kids navigate the risks and dangers in this changing environment. Northwest Center and Cascade - What Will SPS Do? I am in receipt of an e-mail sent out to the Board, the Superintendent, the Seattle City Council, Mayor Murray and a few others in leadership. It is about a meeting about NW Center. It includes no wording about Cascade nor does it invite any of Cascade's leadership. It is from a NW Center parent; I am checking to see if this has been done through NW Center. I find that sad because NW Center seems to have gained quite an upper-hand in this situation from various government officials (including Rep. Reuven Carlyle who is hosting this meeting). I would love to know if Cascade is having a similar meeting and have an e-mail out to their principal to ask. I find some of the wording to be not-so-fair to the situation. There was a great debate on Here and Now on NPR between Mary Fox-Alter, superintendent of schools in Pleasantville, N.Y., and Aimee Rogstad Guidera, executive director of the Data Quality Campaign (and note, DQC is a Gates group). A hugely important article appeared in the NY Times about a California legislator who is introducing a student data privacy bill. Who can truly argue with this statement regarding students and their student data? I believe Arne Duncan will be speaking on this issue today so I will have an update when details come in. The Seattle Times is reporting that, for the first time in 100 years, Seattle is growing faster than the suburbs that surround it. During 2011-2012, Seattle's population outpaced King County's by 25%. Seattle is the 8th fastest growing city in the U.S. of the 50 largest cities (Austin, Texas is number one). So was this - as the district's freelance demographic consultant said a couple of years back - caused by families who might ordinarily have moved to the suburbs but didn't (either they wanted to stay and/or the recession)? Or is it just temporary? Car culture suburbs or dense, walkable city? I can only say you can't swing a dead cat in this town without encountering construction. I live by Roosevelt and that light rail station work is really heating up. Ditto on downtown (the Mercer Mess is still the Mercer Mess), Ballard and Capital Hill. If it continues, SPS will have some hard decisions to make. Double-shifts for high schools? Leasing space (when there is no SPS space left)? Page that has EVERY form. I have to say this all looks very involved so read carefully and good luck. 1. All current students, and all new students for 2014-15 who completed early enrollment by January 31, 2014, will get an assignment letter mid-February (right before Open Enrollment begins on February 24, 2014). Assignment letters will confirm continuing assignments or provide notification of new assignments for 2014-15. These are initial assignments, and nothing further is required if the family wishes to keep the initial assignment. These families will know by mid-February where the student will attend school in September 2014. 2. If a student wishes to attend a school other than the school listed in the initial assignment letter, or apply for an optional program such as Montessori, Spectrum, or APP, then they need to submit a choice application during Open Enrollment. Students may list several choice schools in order of preference. Students may apply for any combination of attendance area schools and/or option schools. Open Enrollment is February 24, 2014 - March 07, 2014. Applications may be submitted at any time during that period, there is no benefit to submitting an application either earlier or later during Open Enrollment. All applications received during Open Enrollment are processed together after March 07, 2014. 3. Students who submit a choice application during Open Enrollment will receive a new assignment letter around the end of April. This letter will inform the student of which school they are assigned to for the 2014-15 school year, and which waiting list (if any) they are placed on for the 2014-15 school year. 4. Waiting lists are monitored continually throughout the summer and continuing until September 30. If space becomes available, then families are contacted to confirm reassignment to the waitlisted school. All waiting lists are dissolved after September 30. An important story about a football coach who went above and beyond, not just one day but for all the days that followed when a shooting happened at his high school. A great piece from 60 Minutes. I will note - again - that in all the (sadly) multiple stories about school shootings that I have yet to read one where teachers or staff did NOT protect the students in the building. All the stories I have read have been about teachers/staff who stood between a bullet and their students. I had the opportunity to this weekend to address a group of young Dems leaders about public education. I noted School Safety as one of the many education issues in our country. I took a minute to tell them that when I was in school, I NEVER worried about a gun at school. Ever. I told them I did not believe it fair for them and for their some-day children. And I apologized for my generation's seeming lack of concern and oversight of this issue. I said that, in my opinion, there were three top issues for public education. One of them was our society's attitude towards education (and intellectual strength) but really, it also includes our attitudes towards guns and access to guns. I told them that really, nothing can change, unless we make a commitment to a change in how we think as a country - both about public education AND guns. As one reader reported, the dates for school year 2014-2015 are up. One of the earlier last-day-of-school dates in recent memory, June 15, 2015. Tomorrow, Monday the 24th, starts the two-week Open Enrollment period. I expect to see JSCEE jam-packed this week (and I would advise getting there early). Info here. Unfortunately, the "choice" form for those who want an alternative to their neighborhood school is not available until tomorrow. I find this not-so-helpful as parents could preview it and make sure they understand it BEFORE they get to Open Enrollment. I'll check it out tomorrow and hope to have some words of advice. Work Session on the Budget from 4:00 pm to 5:30 pm- Agenda not yet available. Work Session on Board Evaluation Goals from 5:30-6:30 p.m - Agenda not yet available. As previously noted, there is no School Board meeting this week nor any Director Community meetings on Saturday, March 1. I'm going to be attending the Network for Public Education conference in Austin, TX at the end of the week. Diane Ravitch and head of the Chicago Teacher union, Karen Lewis, will be keynote speakers. It will be great to meet other public education activists and bloggers and share ideas, stories and insights. Interesting story from The Classical (an independent sports website) about Rainier Beach High School and its history of basketball dominance. Locally, it's known as the best place to get Vietnamese food. It is perhaps less well known as an astonishingly fertile cradle of basketball talent, although it's that, too. This is a place that has produced more current NBA players than just about any other place on Earth—as many as Brooklyn, Manhattan, and the Bronx combined. Those most recognizable student is 6’7” senior and Louisville commit Shaqquan Aaron, who moved all the way from California to go to high school at Beach. Strange as it this seems if framed in a non-basketball context, such a thing would have been entirely unthinkable a few years ago. The newly strengthened emphasis on academics is evident in the pregame Senior Night festivities for the senior cheerleaders. Each girl is announced by her name, where she will be studying next year, and what the focus of her study will be – answers include radiology, anesthesiology nursing, and biochemistry. For a school that continues to struggle to move its students successfully through 4 years within its walls, the focus is noticeably and admirably beyond the confines of both the high school and the neighborhood. Another brick in (the data) wall. Read this article by Valerie Strauss of the Washington Post. It should cause you to consider what is coming. Following on the heels of that article is her next one where one privacy expert says this could violate FERPA. Really, the photo, from Caledwell County Schools in North Carolina, says it all. In some places, parents and teachers are getting tired of embarrassing kids. New England Public Radio reported earlier this month that teachers and parents have banded together in Holyoke, Mass. to petition schools officials to stop publicly displaying student achievements on classroom data walls. District superintendent Sergio Paez, who has been pushing schools to use more data, said that students are not supposed to be identified, but teachers said they feel pressure to do so. Someone tell me how covering the classroom walls with this data is a better idea than pictures, sentence starters, words of encouragement, charts and graphs of historical importance, student artwork, multiplication tables, bar graphs of favorite books, imagination grabbers, thought-provoking ideas, scientific discoveries, pictures of important people, student projects, photos of the class doing, learning, pictures of animals, interactive bulletin boards, classroom birthdays, seasonal pictures, class schedules, math facts, history facts, reading facts and anything else that may foster a love of learning. Washington State is in the unfortunate position of being just one of four that had its NCLB waiver put on "high risk" status by the U.S. Department of Education. The Evergreen State has run into trouble with the teacher-evaluation component of the waivers, which has been the trickiest part for those states seeking the flexilibility under the Elementary and Secondary Education Act. But Washington is in the fortunate position of having a very powerful advocate on its team: Sen. Patty Murray. She chairs the Senate Budget Committee, is trusted by Senate leadership, and is a senior member of the panels that oversee education policy and spending. What's more, she could be in line to chair one or both of those committees in the next Congress, after Sen. Tom Harkin, D-Iowa, retires. "Although Senator Murray can't offer any blanket assurances that the waiver will be granted, she is committed to continuing to advocate for its extension because she understands the impact losing it would have on schools," Matt McAlvanah, a spokesman for Murray, wrote in an email. "Additionally, she is focused on working with her colleagues in Congress to fully reauthorize ESEA with the input of Washington state stakeholders." I urge you to weigh into the Senator's office TODAY. I will be calling to request that she ask Secretary Duncan for the waiver. Washington State has made a lot of forward progress on teacher evaluations and this "stick" is not going to help. So far, the only response from the school district came in an email saying they'll let Northwest Center know the next step after enrollment numbers are in on March 7. By that time, Northwest Center will have just three months left to figure out a plan. The Northwest Center understands that they may have to move, but is asking for more time to find a suitable location for their developmentally and physically disabled students, many of whom require a facility that will accommodate their specific needs. SPS spokesperson Teresa Wippel told me that the old Van Asselt school has been offered to the Northwest Center, but Northwest Center President and CEO Tom Everill says, "There is no offer of Van Asselt on the table—no planning or site analysis has been done, and there are no applications for construction permits or licensing." It seems that neither group wants to be located anywhere but centrally. It makes sense but in the facilities landscape of SPS, not probable. I can't help but wonder—does Seattle Public Schools have a longterm plan or have any idea how to manage their demographics? "It’s been an F- when it comes to open, transparent community engagement and communications"
Rep. Carlyle and the legislative delegation are instead asking for $20 million to refurbish and reopen the Magnolia school, which can handle 400-500 students and help with the growing population, and an additional $5 million for an additional school building. "We’d rather invest $20 million in a very large, important vacant building that can be part of longterm 20 year plan than invest $10 million in a short term, stopgap facility that doesn’t help." Rep. Carlyle realizes the struggle the district is facing and commends them for trying to find a solution, saying "No one is criticizing their stress around managing an explosion of growth—that's a hard job. The question is are they going into this with a sense of community engagement that our city demands?" He also urges for a strategic approach, which Seattle Public Schools doesn't appear to have right now. Carlyle says the issue is the system, not the buildings currently being contested. "The district has unbelievable turnover, and the management of the demographics has been subpar." Also in a continuing pattern, Governor Cuomo of NY state yesterday said he would side with parents if Common Core rollout in NY state doesn't get better. “So I’m sort of where the parent is, standing outside with the sign and oh, by the way I would hold the same basic sign the parent is holding. I think the way they have implemented Common Core has failed utterly,” Governor Cuomo said. “There is massive confusion, massive anxiety, and massive chaos all across the state.” Governor Cuomo said he will demand change or pass a law that slows the implementation of the Common Core if the Department of Education fails to act. "...that in too many places, states and districts have "completely botched" implementation of the Common Core State Standards and must do a better job of listening to teachers and revising policies in order to fulfill the standards' promise. "Seven of ten teachers believe that implementation of the standards is going poorly in their schools. Worse yet, teachers report that there has been little to no attempt to allow educators to share what's needed to get CCSS implementation right. In fact, two-thirds of all teachers report that they have not even been asked how to implement these new standards in their classrooms," NEA President Dennis Van Roekel writes in the Feb. 19 letter. "Consequently, NEA members have a right to feel frustrated, upset, and angry about the poor commitment to implementing the standards correctly." FYI, Seattle Schools may be bracing for a school bus driver strike. Keep a watch on the local news for updates. SHB 2605 is a step backwards in Washington state’s efforts to make our education system more transparent and accessible for parents. That’s because this bill will make it harder, not easier, for parents to know and understand school district policies regarding restraint and isolation of students with disabilities. Right now, for students with IEPs and 504 plans, districts must provide parents with a written copy of their seclusion and restraint guidelines. This is a smart policy because it helps parents understand up front the limited circumstances under which seclusion or restraint may be used with their children. Yet under SHB 2605, school districts would only be required to share that information on their website; if parents wanted a copy or an explanation, they would have to ask for it. Common sense tells us it’s impossible to ask about a policy you don’t know exists, and yet that is precisely what SHB 2605 requires of parents. The policy would only be discussed or provided to parents after a triggering event, or if the parent asked for it. In sum, tucking seclusion and restraint policies away on a school district website is not a policy designed to help parents gain more information – it is a policy that will mostly keep parents in the dark. The inappropriate use of seclusion and restraints in schools is an issue that has warranted national attention. Just last week the U.S. Senate released a report detailing how families have limited recourse when seclusion and restraint are misused at school. The report also addressed how districts often failed to inform families that seclusion and restraints could be used at their child’s school. Also to note, the "Breakfast after the bell" bill, SHB2536, which encourages expanded opportunities for poverty level students to participate in the free breakfast program in many public schools, moved forward in the House. "HB 2536 establishes a three-year, phased-in process for providing breakfast. The bill provides schools with technical assistance through dedicated staff within the office of the superintendent of public instruction to successfully implement the model, as well as assistance through local public-private partnerships between the office of the superintendent of public instruction and nonprofit organizations knowledgeable about hunger and food security issues." Only one-third of Washington State children eligible for a free breakfast access it. Reasons may be stigma and/or losing out on study/socialization time before school starts. With Breakfast after the Bell, breakfast is after the bell for about 15 minutes. If eventually signed into law, Districts with "high needs" schools and plagued by low graduation rates will be encouraged (and eventually mandated) to employ the nutrition element as an additional tool in working toward raising student achievement. Let your Senator/Reps know your thoughts on these bills via Legislative Hotline 1-800-562-6000 or click on the Find Your Legislator link. Update: I have received some new info - via the City - and either we have a case of Who's on First or SPS is not being forthcoming with all it knows about this student survey of teachers. I have word that one school has been working on this - with Teachers United and possibly school staff as well as the Seattle Youth Commission - for almost two years. I'll let you know all the details when I get them sorted out but I have to wonder whose survey it truly is going to be. I had a long conversation with Dr. Eric Anderson, head of Research, Evaluation and Assessment, who is in charge of the initiative for a separate student survey of teachers. The district itself is paying for this work and no other group is giving funding towards it. Dr. Anderson will, of course, run the final work past the Superintendent but he is the final voice on it. He said there would be a separate survey on principals (but I need to double-check if he meant by teachers or students). This survey is not part of the CBA, teachers can (and do) give their own student surveys and it will not be used in teacher evaluations at this time. State law does allow student surveys. They don't know what schools will pilot it nor what grade levels (he thought 6th-12th). I asked if students had to take it and he seemed taken aback as if it had not occurred to him that some students might say no. He said that they may try to combine surveys into one but they could continue to be separate. On the background of this issue, he said that that the climate surveys are being revamped. He said that the Road Map project, that the district is part of, has had surveys that include "motivation and engagement" of students. He said that in January, the district had done the student climate survey but felt that a separate survey about how students viewing their teachers' methods and help in the classroom would be worth trying. This pilot survey is to be done in May. Many Washington state legislative districts are having Town Halls this Saturday with some or all of the elected reps from each district. This is the most complete list I could find but if you know of others, please post them in the comments. I'll be at mine at the 43rd district. Major news on two important education bills in the Legislature. First, the State Senate REJECTED a teacher-evaluation bill that would have changed using student test scores in teacher evaluations from "can" to "must" because the feds wanted that change. The feds were using - as a carrot or stick, take your pick - federal funds. Superintendent Randy Dorn has been moaning about the possible loss of these funds, about $38M (Seattle stands to lose about $2.4M). What got left out is that Washington State has applied for a NCLB waiver and may still get the federal dollars. So far, Arne Duncan has given 37 states waivers. What is amazing is that conservative GOP members joined with minority Dems to defeat this measure and it is the first time the new Senate "coalition" majority has lost. According to the Times, it is probably dead as 5pm today was the cutoff for non-budget legislation to get out of at least one chamber. The other major piece of legislation that DID pass, and that the governor is expected to sign, is the (former Dream Act) now called the Real Hope Act. It passed the House 75-22 and had been approved by the Senate in January. Seattle Schools' Principals - Who Gets to Go Where? Long ago, I used to say that having a great school is like a three-legged stool partnership with teachers/staff and parents and principal. After my personal experience and years of listening to parents' experiences at other schools, I revised that because the biggest leg really is the principal. This ability for some principals to have greater control certainty looks true in a column at the Times about one reporter who about to become a Seattle schools' parent. UW's department of Computer Science & Engineering has DawgBytes: A Taste of CSE which is their K-12 outreach program. They have lots of fun events as well as offering a UW CSE student to come out to your school to talk to students. They have an e-mail list so you can get regular updates of events. Remember the story, There Was an Old Woman Who Swallowed a fly and The House that Jack Built? Here's a mash-up ed reform version of them featuring Bill Gates from the blog, Russ on Reading. I did horribly. I don't know my presidents well. Let's see how you do. On the heels of the depressing news that the Washington State Legislature is mostly white, middle-aged and male, I urge women and any women in a minority group to consider running for office (or supporting a friend who may want to run). I have helped walk candidates through running for School Board (with help from great former directors and others) because it's important to know what you are getting into with a race AND what that work is like if you win. Campaign Nuts & Bolts: getting started, deadlines, rules, organization, and more! Our lunch panel includes elected officials who have been there and will share their insights, tips and answer your questions. Confirmed to join us are Thurston County Auditor Mary Hall, Bellingham City Councilmember Roxanne Murphy, newly appointed 38th District Representative Lillian Ortiz-Self, and 46th District Representative Jessyn Farrell. Plan to join us after the training from 5pm-6pm for appetizers and no-host bar mingling and networking at nearby Billy Baroo's. This is your opportunity to talk to the trainers and consultants, other attendees, and meet representatives from other endorsing organizations! With a tip of the hat to Keith Olberman, I would like to nominate state senator Michael Baumgartner (R-Spokane) for "Worst Person in the World" this week. Mr. Baumgartner has introduced a bill before the state senate that mocks the state supreme court's McCleary decision. This is guy who complained about the waste of time when the senate squandered fifteen minutes naming a state oyster. What a prick a pointless, unproductive irritation committed for his entertainment. If he and his senate colleagues would do their job and fully fund education as the constitution requires, then they wouldn't have lost the McCleary decision. Update: here's a new one. So if this is just a little pilot student survey of teachers, why is it the most hugely read post 4-1? That is way off the charts for normal post hits. (Naturally some of the hits are the same people but when it gets off a certain amount, you know there is a lot more traffic. And on a holiday weekend.) Someone called this a "tempest in a teapot"; I don't think so. 1) Still waiting to find out who is paying for the costs for the pilot student survey of teachers by students. 2) Still waiting to find out if teachers are contractually obligated to give out the survey in their classes and/or do students have to take the survey? Will students be told this is an optional piece of work and allowed to not take the survey if they choose? 3) I'm also waiting to hear what does the SEA has to say about this issue - both from the teacher level and the union level. Hmmm. 3) What's up with the Jane Addams building? It seems that the building has an issue with water pressure (and does not have a "backflow preventer" on its sprinkler system (this being an old building as are many in our district). Because of this, the fire alarm has gone off 17 times in the last year. That means, 17 times that students and staff had to exit the building, wait for the all-clear from SPD and then go back to class. You can imagine the kind of disruption this is to classroom learning. As well, it is certainly a cost to taxpayers to have the Fire Department come out and check. Now Maintenance tried to "modify" the fire alarm system to prevent this but could not and are finally installing a backflow preventer on the fire suppression system. (This ties into the issue of our aging buildings. The district seems to be operating with a lot of fingers in the dike - as well as crossed fingers - in hopes that nothing will go too far wrong with our aging fleet of schools). So in the Hmmm category, I wonder what the cost is for the backflow preventer and where the money is coming from to pay for it. 4) I'm wondering what JSCEE will look like on Feb. 24th - the first day of Open Enrollment . It would have been great if the district had the Choice Form available so that parents could look at it, review it and have it filled out and ready to go (along with other documentation needed) when they go to enroll. Hmm. Also, why no mention of Open Enrollment at the district's Facebook page. Hmm. And, of course, there's all the parents who had their children tested for AL programs who have yet to hear from the district. Also, I reviewed the application form and it is not the easiest document to understand. Very complicated in "if then, then that". Based on that concern, here is a survey out on enrolling in SPS by an SPS parent if you are interested in taking it. It's just three questions. 5) Also, there are no community meetings by Board directors, not next Saturday the 23rd or the next Saturday, March 1st. So any complaining/concerns you want to direct to the Board will have to be via e-mail or at the Board meeting on March 5th. Why, with 7 directors, can't there be at least one Community meeting with a Board member each Saturday of the month (barring major holidays)? Hmm. Schools are closed. Is the district? I would say they are likely technically open. But I personally know a couple of staff who won't be around much. It is also my experience that during holiday breaks, JSCEE powers down somewhat. Call if you'd like, there may be a chance you will catch someone there. No Director Community meetings on Saturday, either. Anti-evolution activists have pushed a variety of measures over the last several decades, hoping to either eliminate or water down science-class curricula, though nearly all of the efforts have been struck down in the courts. The efforts nevertheless persist, even now in the 21st century, with state lawmakers weighing new science restrictions in several states. Missouri, however, is breaking new ground. There are no parental-notification laws on science classes anywhere in the United States. Brattin’s bill, which may actually be the first of its kind, received its first public hearing on Thursday. I feel for the students of Louisiana (where they also have this going on) and Missouri. What these students will do when they get to college is anyone's guess. There has also been talk here at the blog about "piloting" or "field testing" different surveys and tests (namely Common Core). Here's a good piece from The Washington Post's Answer Sheet by guest columnist, Jessie B. Ramey, a visiting scholar at the University of Pittsburgh. It's called "How 'field testing' turns kids into guinea pigs - without parental permission." this is two weeks and that's a lot of kids to enroll. I would encourage you to go early - in date and time of day). I did write to Tracy Libros, head of Enrollment, two weeks ago to ask about why application forms could not be reviewed and why the enrollment window seems so short but I never received a reply. Seattle Public Schools will host five community meetings to share information on the District’s five-year Strategic Plan, with tailored comments, topics and data from each of the five educational regions. These meetings are designed to engage families, students, staff and community members in ideas to ensure academic success for every one of our students. There will also be time for participants to ask questions of the Superintendent and District leadership. Southeast region, at South Shore K-8, 4800 S. Henderson St.
Northeast region, at Nathan Hale High School, 10750 30th Ave. N.E. Central region, at Garfield High School, 400 23rd Ave.
Northwest region, at Ballard High School, 1418 N.W. 65th St.
West Seattle region, at Roxhill Elementary, 9430 30th Ave. S.W. To submit topics you’d like to see presented in your region, please email us at publicaffairs@seattleschools.org with the subject line “town hall meeting topic” by Feb. 27. Student Survey Coming about Teachers but Why? Update: I neglected to say - if my children were still in SPS, I would tell them to say no to any kind of survey about their teachers. It is not required and frankly, there is too much leeway for kids to not understand the questions being asked and/or decide to muck about with phony or false answers. If someone's job is on the line because of this, how much input should students impressions be given? How would you feel if this were your job? --The work is to conceive, define and implement a structured survey of students' perceptions of their teachers. - The objective of the surveys is to provide all teachers insight that can use to better inform their teaching practice for each of their classes. As you may know, student surveys are the best overall indicator of long term teacher effectiveness. The concept is to conduct initial pilot surveys under the auspices of and administered by SPS sometime before the end of this school year. At present the work group is forming to define the survey and related deployment logistics. But I have a question about "student surveys are the 'best' overall indicator of long term teacher effectiveness." Really? I'll have to see data on that one. I did a quick check and I didn't see this anywhere including in Gates Foundation reports. I did consult with the SCPTA and was told it is not being sponsored by SCPTA but by individual PTAs. (Those PTAs did let SCPTSA know about this but it got into the SCPTSA newsletter late.) I frankly, find it odd that the district would not have SCPTA be a sponsor and only various PTAs (and, at this point, I don't know how they got involved). I wrote to the district and asked these questions. Have you been on a tour yet? Where and how was it? Had a friend who went to an IBX meeting at Ingraham and said it was absolutely packed to the rafters. I recently got a private tour of Sand Point Elementary (which I had never been to and had wanted to check out). Very impressive. For those of you who wondered how well a new start-up school can do, here's proof. And, it's a team effort with the principal (Dan Warren), staff and parents. Principal Warren had done his homework in checking out the Sand Point of former years. It was opened in 1956 with 13 (gulp) portables as the school and with a K-6 enrollment of 309 students. Good story on Garfield teacher Jesse Hagopian in Seattle Met. The Times editorial board weighs in on the North Center Kids/Cascade program and oddly, completely leaves out Cascade. Naturally this baffled a couple of readers who ask, "What is the about? Why would the district do this?" But paint a complete picture? Not the Times. Best wishes to all your loves this Valentine's Day - be they big or small. I've been through a lot of changes in my personal and professional life in the past year or so. Actually, I'm still in a sort of transition period, but that period and those changes will be complete in April. Among other things, I'll be moving away from Seattle, which has been my home since 1987. For the past several months I have been splitting my time between Seattle and Charlottesville, Virginia. I'm in Charlottesville now, as a matter of fact. In April I will leave Seattle and make C'ville my new home. I think it will be a little inappropriate for me to comment on Seattle Public Schools when I'm no longer a Seattle resident, so I won't be writing many blog posts after the move. No promises that I'll quit entirely, but I'm pretty sure that I won't be able to make the committee meetings anymore. I have been writing about Seattle Public Schools for over a decade. I have probably averaged a couple thousand words a day over that period. It surprises even me to say it, but I'm somewhat sanguine about ending this practice. People have asked me how I could keep going for as long as I have. Why didn't I get burned out? And, given my astonishing record of ineffectiveness, why didn't I get wise and quit? My answers were always the same. I didn't suffer any burn out or outrage fatigue as I might have if I were angry about just one thing, because Seattle Public Schools gave me some fresh source of outrage on nearly a weekly basis. I wasn't still angry - I was angry again. As for the pointlessness of the whole endeavor, I have always said that the total futility of my efforts did not excuse me from the obligation to make those efforts. These provided the fuel to keep me running for thirteen years of activism. I can choose not to closely follow Seattle Public Schools when I'm in Virginia, which will insulate me from new outrages. And if I'm not a citizen of Seattle then I won't have the civic duty to take action. At least that's the working hypothesis. But that's not why I'm finding it easy to close this chapter in my life. I attended the Board Work Session yesterday on Capital Programs and Plans. It was both informative and annoying. Attending were Directors McLaren, Patu, Blanford, Peters, Peaselee and Martin-Morris. Director Carr, like at last week's Board meeting, was not in attendance. Staff included Superintendent Banda and the head of Capital/Facilities, Flip Herndon. Dr. Herndon gave the entire presentation. There was a good laugh before the meeting when Director Blanford said that he had a lot of people asking him if he was Richard Sherman or Marshawn Lynch of the Seahawks (the only similarity is that they are all three black men with long hair - they don't look like each other at all.) I later asked Director Blanford if anyone asked him if he was Lawrence Fishburne - a joke based on an entertainment reporter who this week was interviewing Samuel L. Jackson and thought he was Lawrence Fishburne. Jackson's reaction was priceless. Dr. Herndon did two good things. He did NOT read the presentation and he skipped parts that were widely understood (like BEX and BTA). he spoke about "diminishing" numbers of interim sites. He's right - pretty soon there will be none. There two issues around that. One, the district does not like to build on-site - they like to move the entire population out. Well, if you have no interim sites, it's not possible. Two, if you have a catastrophic event, there is nowhere to put a school population (example: a school being rebuilt in the '90s burned to the ground). here's an annoying part. He referenced the high amount of backlogged maintenance. He admitted it was about $500M. Director Patu asked if it had been higher and he said yes, they had made some inroads. Can I just say that's a little disingenuous to say? I say that because the district has spent huge amounts opening and reclosing buildings (as other buildings that needed work themselves continued to wait) and I'm sorry, but there is nothing good to be said about a $500M+ backlog. He said, "We can't get to it fast enough." Well, if we brought up the maintenance budget, there might be a way. Oh wait, I forgot - every non-contract employee at headquarters is getting a raise. he said they were talking with the City about a downtown school and the idea of universal preschool "a little bit." Mayor Murray is having a neighborhood summit on Saturday, April 5th from 9 am to 1 p.m at the Seattle Center's Pavilion Room. They have a survey going on for citizen input before the event in order to help shape it. To learn more about the Seattle Neighborhood Summit, you can email SNS2014@seattle.gov or call 206.684.8069. This is a good opportunity to let the City know how you feel about schools and neighborhoods. It would be great to have a lot of parents asking for the City to be active partners with SPS. I attended the Math Adoption Committee meeting a week ago. I stayed about 2 hours (out of a daylong meeting). I didn't have high hopes at the beginning as the meeting seemed disorganized and slow to start. The meeting was monitored by staffers Anna Box and Shauna Heath. They first went over the discussion from the Board-asked-for Work Session that had occurred the day before about the math adoption process. (More on that in a minute). The next meeting of the Math Adoption Committee is tentatively set for April 25th (I did not hear a reason they were skipping March). As soon as they announce their final selections, they want public comment. There will be viewing of materials at five schools (one in each region) and one library. These are Arbor Heights, South Shore K-8, Coe, Northgate and, for the Central region, Douglass-Truth Library. It was noted by staff that they have about $1.5M for this math adoption. One Committee member said they were getting so far away from the curriculum (in terms of time spent on reading each one) that she herself would have to go back and review the final 3-4. What followed was impressive to me. The Committee went through a long process of discussion over how to rank and score the final choices. Two members had worked through a process and then the entire committee walked it thru with comments. I was very grateful for their willingness to take this time and desire to make sure that they could document their choices on each vote. They very clearly want the public to know how the narrowing down happened. My one final comment on the meeting is that I hope that the district will take their work and use it as a template for future curriculum adoptions (or other types of activities for other committees/taskforces). While I appreciated their hard work, I thought, this is taking nearly an hour and a half just for this. I hope no one else feels compelled to reinvent the wheel the next time this kind of voting takes place in SPS. Below is a report by two people; one who is close to the community and one who is a community member. These are their thoughts and reporting but it is quite detailed and may offer some clarity to what is happening on the committee. Read this guest column by Colin Pierce, IB Coordinator at Rainier Beach High School, that appeared in the Seattle Times Education Lab. You can comment there on the Seattle Times site. I'm off to go listen in on the Work Session this afternoon about Capital Program Planning. I was talking with an aide to a City Councilperson yesterday about this very issue. Apparently the staff and families at the NW Center for Kids have been very active in reaching out in all directions to try to stay in the SPS building they currently occupy. He was mystified at how there could be two groups - Cascade and NW Center for Kids - both whom serve special needs children that have somehow become pitted against each other. Inwardly, I thought, "Well, that's about par for SPS." He was also surprised at the lack of preventive maintenance in our school buildings especially given how packed and well-used they are. Again, no surprised if you know that the district has cut back on maintenance since the late '70s. They cut back and never looked back. Well, there has been a lot of hand-wringing from Board members and superintendents and staff and yet, not much has changed. Plus there are more buildings open and in use than ever. And, the district has spent - over the last 20 years - upwards of $1B on renovations of buildings. It's a bit of folly to pay out for expensive new buildings and then not keep them up especially when a district is continuing to use old buildings that are upwards of 60,70, 80 years old. Just off the top of my head, I'd say half the buildings in the district are probably about 45-50 years old and the life span of most schools is about 25-30 years. But another issue, that is having its own Work Session tomorrow, is Technology. As I previously reported, technology will receive fewer dollars under BEX IV because the building need is so great. But so is technology. Common Core is a computer adaptive test. All this data that is being generated that is so vital (apparently) has to flow through technology. And yet we have many old buildings and not enough dollars. Hard choices will be made. Both the Operations and Audit&Finance Committees have meetings tomorrow, Thursday the 13th. In addition, there is also a Work Session. Audit&Finance and Operations both start at 4:30 p.m. and the Work Session on Technology starts at 6:30 pm. I call this out because Operations and A&F did not have their agendas out until yesterday. Again, I have to smile and wonder. These are very lengthy agendas. There is truly no possible way to cover everything in them except as a brief update. The Board is supposed to use these committee meetings to go over - in detail - issues. I realize a lot needs to get done but I wonder why these agendas are so lengthy for such a short period of time. - one item that caught my eye is Olympic Hills where there is a "resolution" about the new construction but also a "resolution regarding racial imbalance for new elementary school at Olympic Hills Elementary." Not sure what that is about. - PowerSchools implementation update - this is a Pearson product "student information system"
- then there's the vague "ratification of Murphy and Associates contract modifications." I believe this may have been the consulting group for the SPS review of technology. Is School Funding Fair (throughout the nation)?